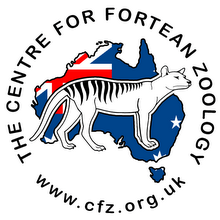 Centre for Fortean Zoology Australia: Meet Badger, the Quoll-tracking dog! Colac district conservationists hope a dog could be the key to saving Australia’s tiger quoll population. 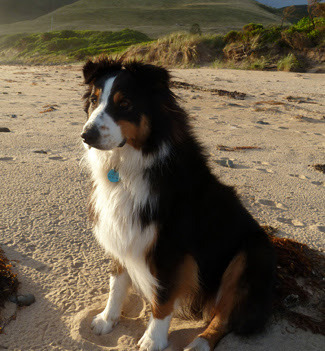 Employees of the Cape Otway Centre for Conservation Ecology have been busy training two-year-old Badger, the tiger quoll detection dog, to locate scats from the endangered tiger quoll population. Program leader Kellie Leigh is training Badger, an Australian shepherd, with the aid of three tiger quolls kept on site in a custom-built sanctuary named the “Qualloseum”. Staff feed the quolls a varied diet and the quolls, each of which is about 12 months old, provide fresh scats for Badger’s training program. 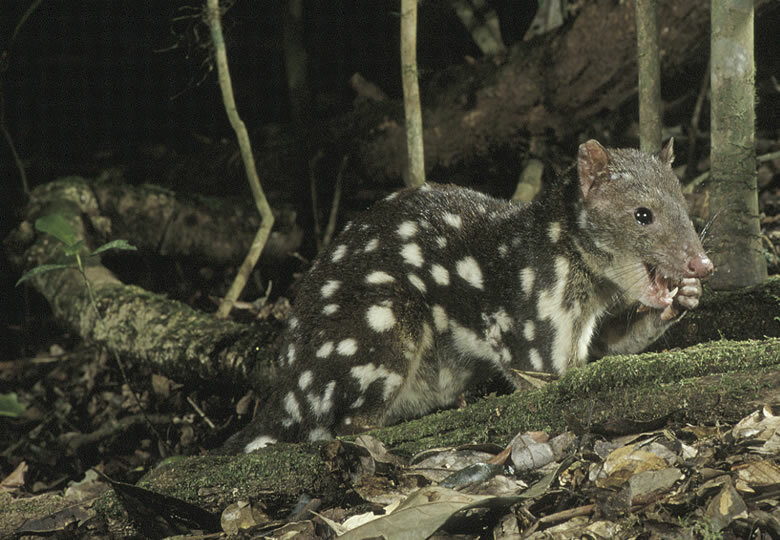 Conservationists hope new detection methods will help find populations of native tiger quolls in the Otways. Cape Otway Centre for Conservation Ecology program leader Kellie Leigh hopes Badger the dog will help conservationists find native tiger quoll populations around the Otways. 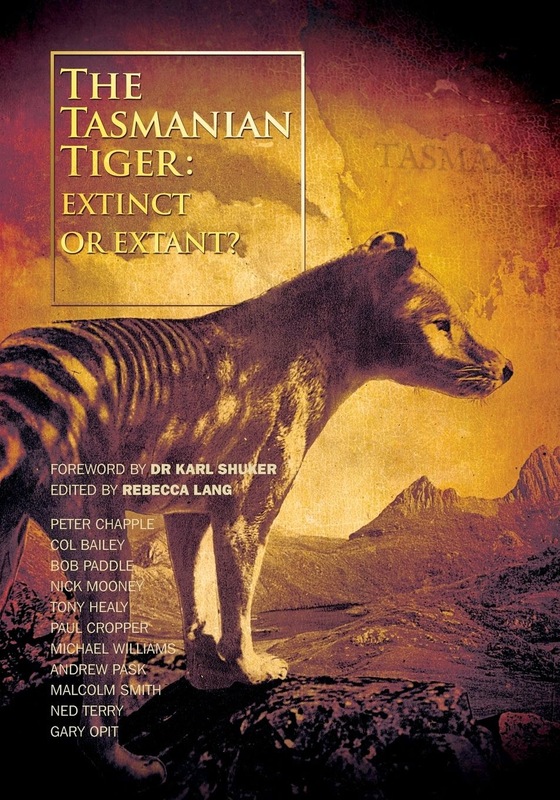 Ms Leigh said tiger quoll numbers in the Otways were so low that environmental authorities, who use remote cameras to survey the animals, had not detected the marsupial predator for “about seven years”.